This is a request for a Planned Development at 2593 South 700 East. The parcel is zoned RMF-30: Low Density Multi-Family Residential. The parcel is approximately 115′ deep and 74′ wide. Request Description: Jordan Atkin, the property owner, has submitted a Planned Development application to develop the subject property with four single-family attached units (townhomes). The units will be oriented to the side of the lot as opposed to the street (700 East) with entrances facing the south. 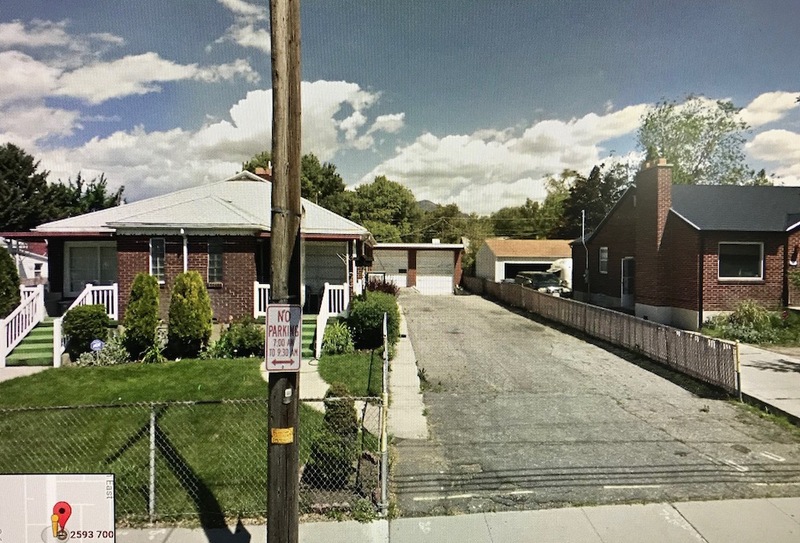 The applicant is requesting relief from the City’s Zoning and Subdivision Ordinance for a reduced interior yard setback, reduced landscaping buffers and to create lots without direct public street frontage. Process: This project will be reviewed at the SHCC Land Use and Zoning Committee meeting August 20 at 6:00 p.m, and at the SHCC full council meeting on September 5 at 7:00 pm. Both meetings will be at The Legacy Sugar House, 1212 Wilmington Avenue, 5th Floor Fairmont Room. You can attend a meeting to provide input, or send an email below. The Sugar House Community Council will write a letter to the Planning Commission, and that meeting will take place at a later date. These are two new drawings after the meeting with the SHCC Land Use and Zoning Committee. There are more detailed plans, but the file is too big to load to our website. If you come to SHCC on September 5, you can see the plans and talk to the developer. Send an email with your comments to judi.short@gmail.com and I will include them in my letter to the Planning Commission. I will update this post with the meeting date when we know it..